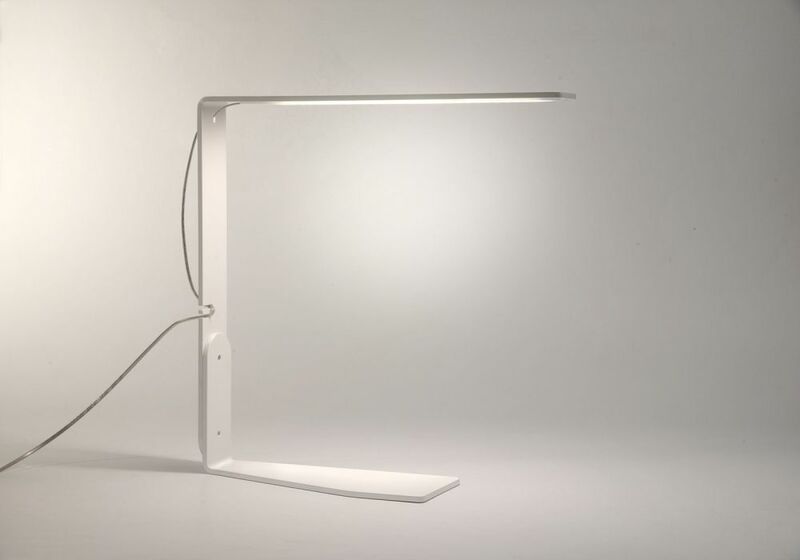 The TEElight light is a multipurpose lamp : you can use it as a led table lamp or as a led wall light depending on which of the two stands you choose. It is made in an steel plate that is only 2,5 millimetres thick. The arm of the lamp takes 28 5W LEDs. 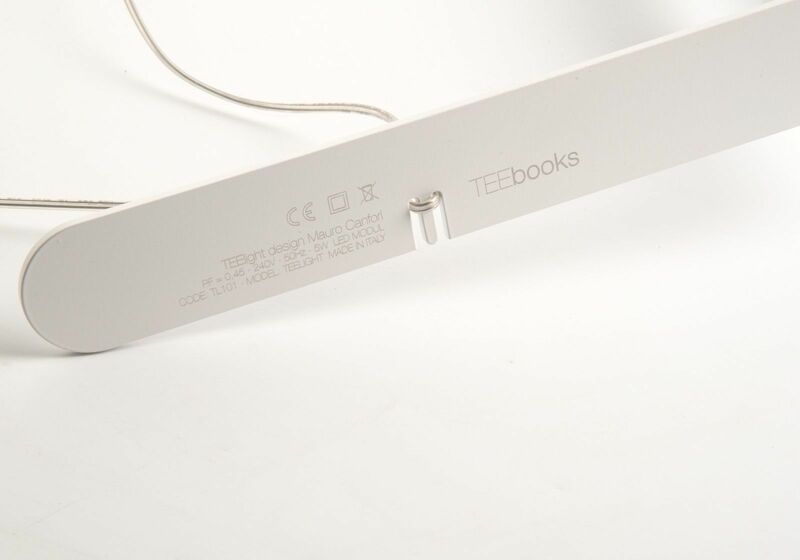 The TEElight light is a table lamp. 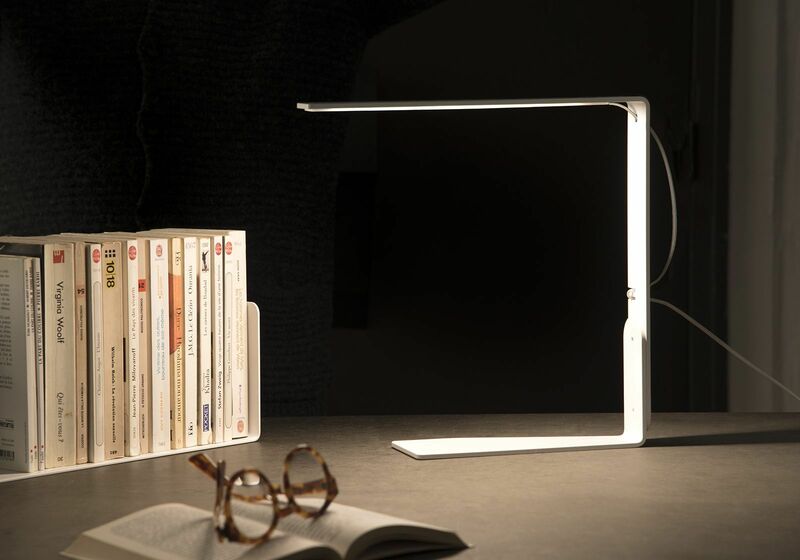 It is fixed, thanks to its two magnets, to one of the two steel stands sold with the lamp. 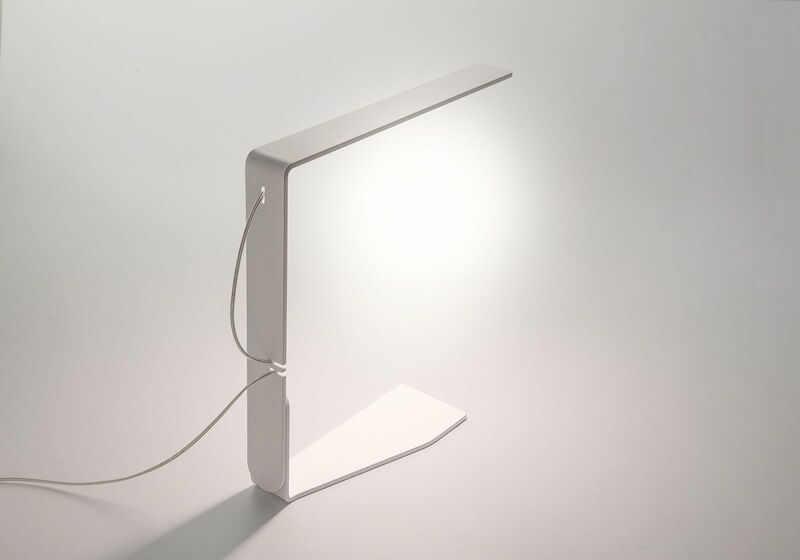 You can admire its very minimalist design, its very discreet presence on the desk and, at the same time, its efficiency as regards lighting. 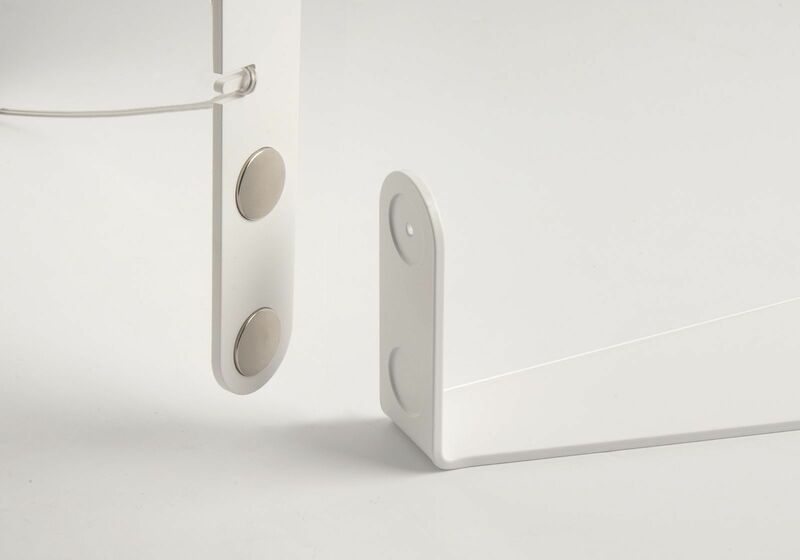 With the second stand, designed to be fixed to the wall, you can use it as a led wall light in four different positions.